Give Me My Remote > Castle > CASTLE: Check Out Castle and Beckett’s Wedding Photos! CASTLE: Check Out Castle and Beckett’s Wedding Photos! 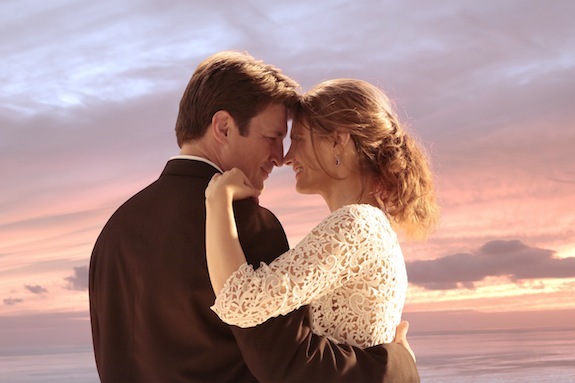 CASTLE put on Castle and Beckett’s long-awaited wedding in “The Time of Our Lives” (after Castle took a trip to what may have been an alternate reality), and while it was a much smaller affair than the duo originally planned, it was lovely and so very them. CASTLE: When Will Castle and Beckett Get Married? Comments Off on CASTLE: Check Out Castle and Beckett’s Wedding Photos!